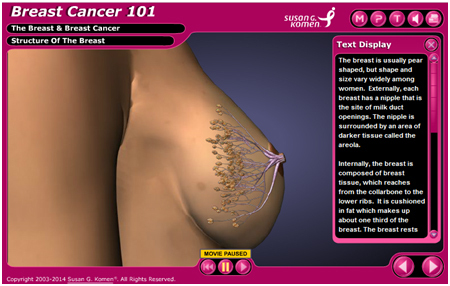 Breast cancer is a type of cancer where cells in the breast tissue divide and grow without normal control. It’s a widespread and random disease, striking women and men of all ages and races, and is the most prevalent cancer in the world today, with about 1.3 million people diagnosed annually. The exact cause of the disease is unknown, and at this time, there is no cure; but there is hope. Thanks to heightened awareness, early detection through screening, improved treatment methods and increased access to breast health services, people have a greater chance of survival than ever before. If you or someone you know are in need of local resources, please contact us at 860.321.7806 or at info@KomenNewEngland.org.